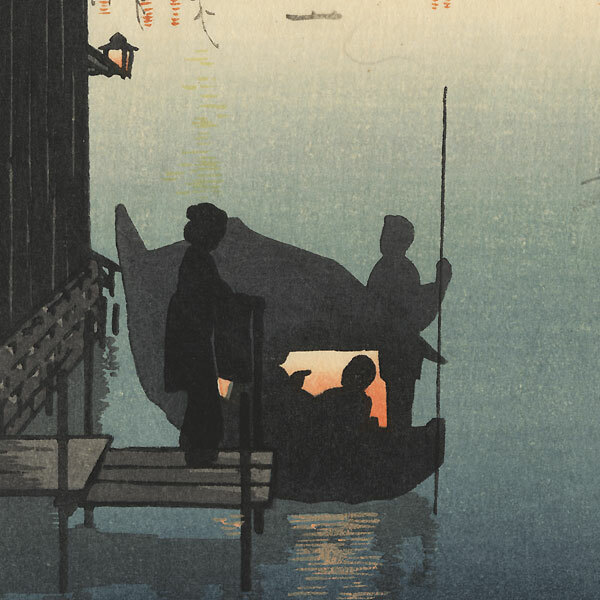 Comments - Terrific shin-hanga evening scene of a beauty preparing to board a boat on the Sumida River. 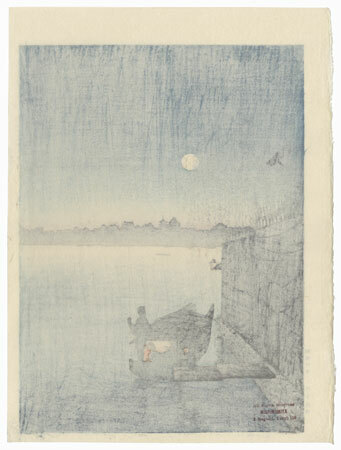 She stands on the dock in silhouette, a warm orange light glowing from the interior of the boat. The delicate branches of a willow tree frame a view of the full moon overhead as evening falls. Beautifully shaded. 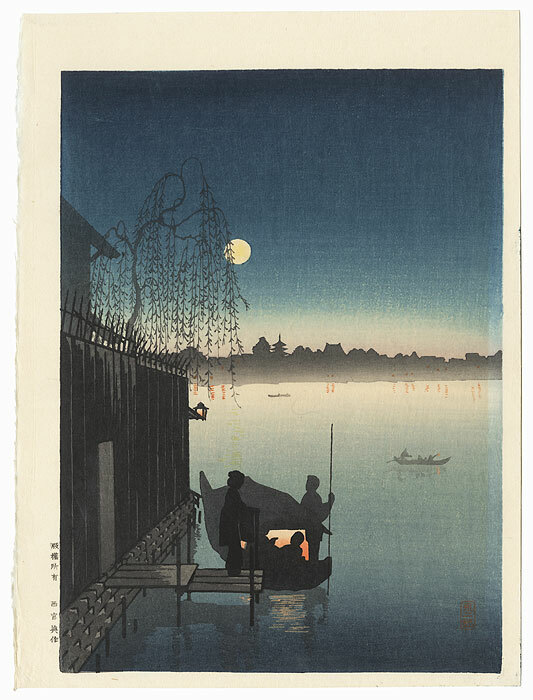 From the Hasegawa/Nishinomiya Publisher's lyrical "Night Scenes" series with publisher seal on reverse.